Idle Hour Bar, North Hollywood, Los Angeles | Good. Food. Stories. When you come across a building shaped like an enormous wooden barrel, you just know you have to go in and get a drink. 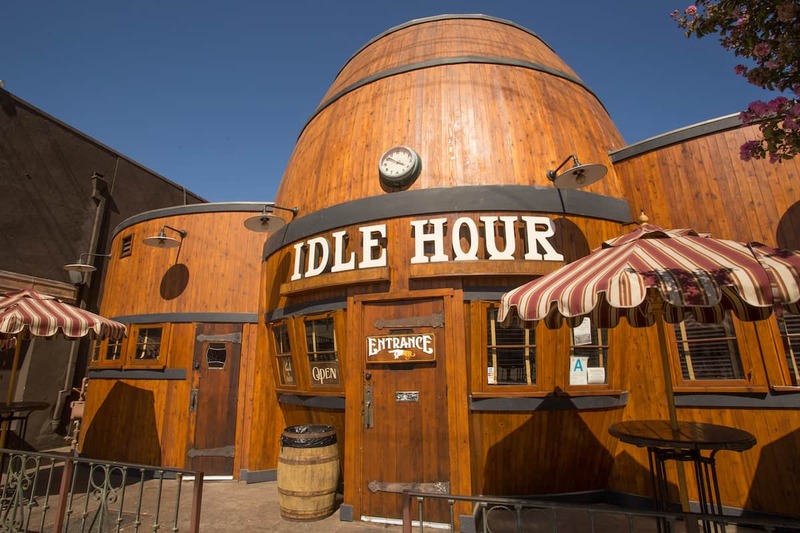 And when you do walk into Idle Hour in North Hollywood, you’re greeted with something that feels simultaneously kitschy and comfortable; a little piece of history without any pretension. The old Los Angeles practice of “programmatic architecture”—a building in the shape of something else, often emblematic of whatever it is offering inside—certainly works here, where you can tell at a glance that you can walk inside and sate your thirst. But it’s extra special because this 1940s gem is one of the last standing examples of what was once the all the rage in LA. Having stood empty for three decades, it was recently restored to its former glory and reopened in 2015. 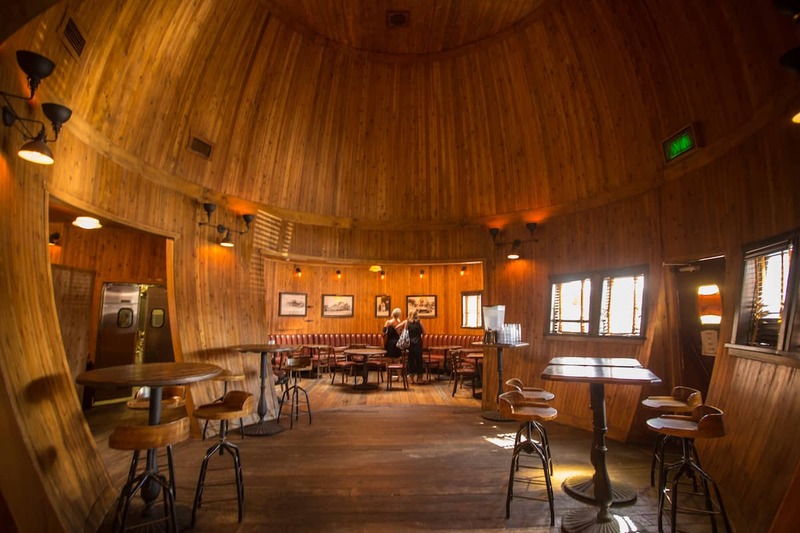 When you walk in, the wooden curved walls, bar and booths give it not just an old LA feel, but really almost a sense of the old west, which is fitting given that it stands in the San Fernando Valley, where various old Western TV shows and movies were filmed. 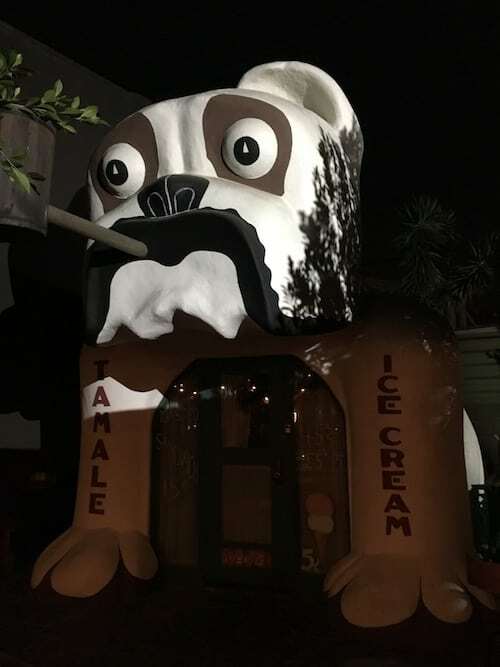 If you walk through the building, you find a cozy back patio with scattered tables as well as an enormous pipe-smoking bulldog bearing signage for tamales and ice cream. This is actually a recreation of another historic LA eatery, the Bulldog Café, and is now used as an event space. But its presence adds to the fun, throwback atmosphere. The best thing, though, is that the bar offers much more than just nostalgia; the food and drinks make it a genuinely great hangout. Whether you are taking refuge inside the air-conditioned barrel on a blistering hot Valley summer day during happy hour, or sitting on the patio under a heater for a pre-holiday meal with a friend, you’re guaranteed a tasty time. 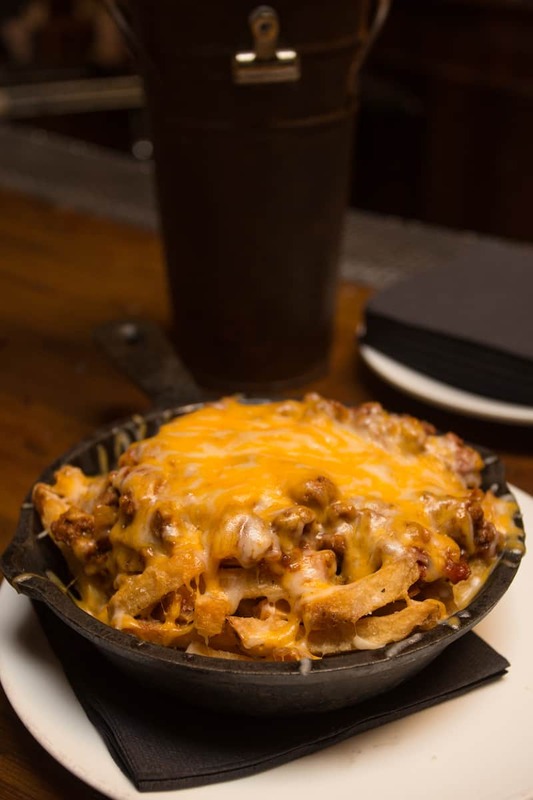 I have yet to go and not order some version of their sloppy fries, which are served to you right in their own hot cast-iron skillet, and which are delicious whether smothered in actual sloppy Joe mix or with the Idle Hour’s salty-sweet brisket, each tenderly nestled under a blanket of cheese. Roasted Brussels sprouts have become fairly common, but for people like me who love them they are an excellent choice here, especially when tossed with bacon and topped with crunchy almond slices. 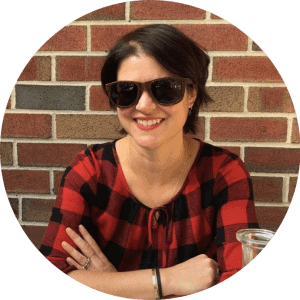 And the wings are just the right amount of spicy and always hit the spot, even for this girl who doesn’t always enjoy getting buffalo sauce under her fingernails. Totes worth it, even with a fresh manicure. 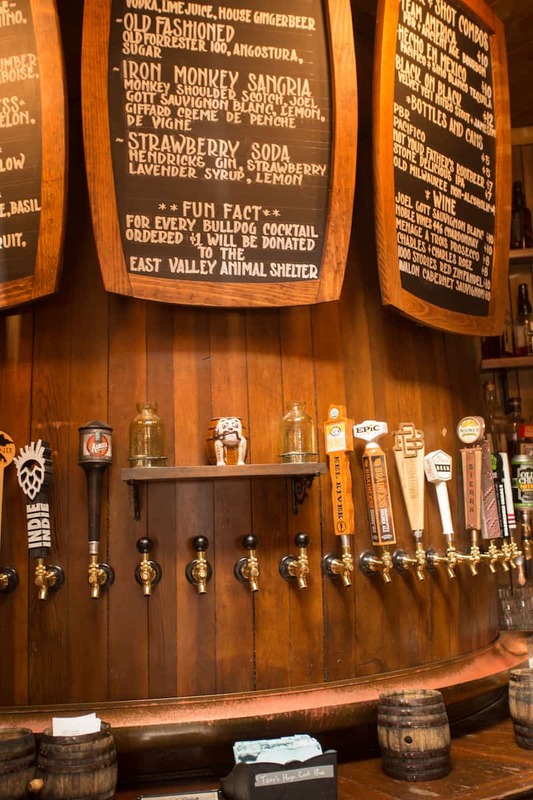 The Idle Hour also benefits from a well-chosen beer selection; when so many bars these days have gone IPA-heavy, it makes sure its list is balanced, offering a number of varieties from blondes to porters. Usually when I am there, though, I am swayed by their cocktail menu, which ranges from inventive seasonal offerings like Not Your Mamma’s Cider 2 (Bird Dog cinnamon whiskey, Lot 40 Canadian rye whiskey, cinnamon simple, apple cider) to classics like an Old Fashioned, mixed exactly how I like it: sweet but not overly so. On a recent evening I couldn’t resist ordering two, lingering over them in the shadow of the bulldog. Ultimately, when you visit, you get the perfect blend of experiences: an ode to historic LA, and a genuine, unpretentious, delicious neighborhood haunt.